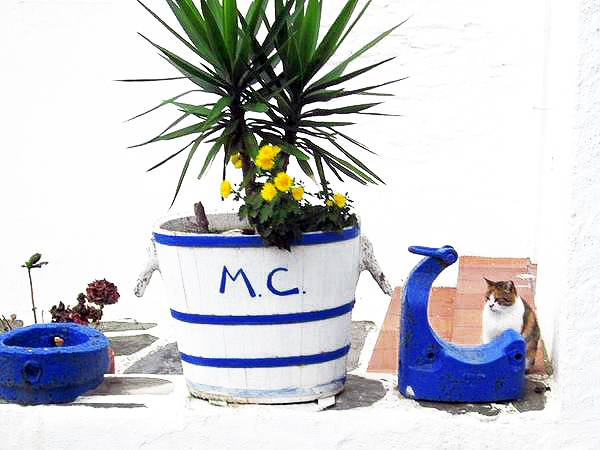 Salvador Dalί used to live in Cadaqués and his eccentric house is now open to the public. Once you've been there, you'll probably want to call Cadaqués your home as well. This former little fishing village is super cozy with its cobblestone stairs leading up the hill, its whitewashed houses, and street cats around every corner. At the foot of the village, you can enjoy a sangria at one of the many bars or restaurants while watching the sunset over the Mediterranean Sea. Have a look at more pictures of Cadaqués here. Cat pictures submitted by Dimitri Pletinckx. 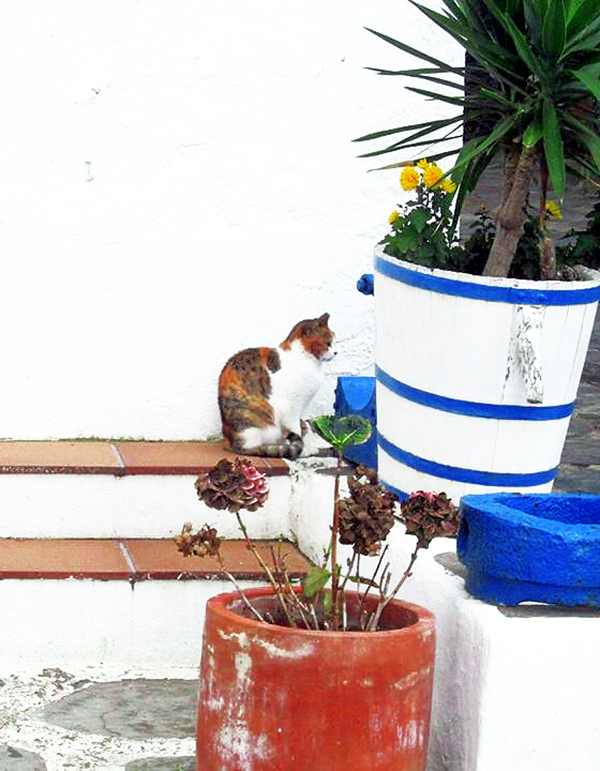 Previous cats of Cadaqués here and here. My latest book Avalon: a Heartwarming True Cat Story is now out in paperback! But Spanisch??? --> Same like in German: Miau!!! You always seem to be able to locate the prettiest kitties! I hope you'll drop by http://image-in-ing.blogspot.com/2015/08/double-play-on-way.html to link up. 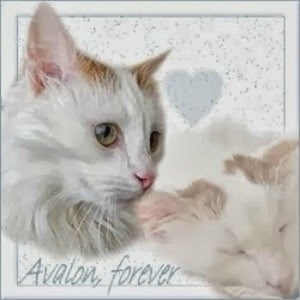 Always enjoy seeing the cat photos, we have two and they are precious!! Thanks for sharing on OMHGWWthis week!!! 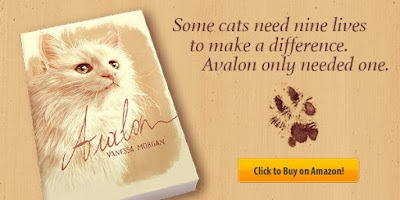 Love your cat photos and would love going to Spain! Thanks for linking up at NanaHood.com! Very cool! Those little towns are always so unique. It is interesting that Salvadore Dali chose a little town like that to live in knowing his larger-than-life taste. The cat is such a cutie pie! That sure is a very pretty kitty! Looks a lovely place and a happy kitty! Thanks for joining us on Oh My Heartsie Girl Wordless Wednesday! Nice photos, on the first one, the cat, because of its posture, seems to be a sculpture, not real, nice! J'aime bien le contraste du bleu et du blanc. Le chat fait très ...petite potiche qui se font dans le décor. J'adore Dali. C'est vraiment mon peintre préféré. Il faudrait vraiment que j'aille à Cadaques un jour. Sweet! "I'm just blending in..." they seem to say. Love the cat, but also that bright blue ! So cute! We love seeing cats from all over the world.